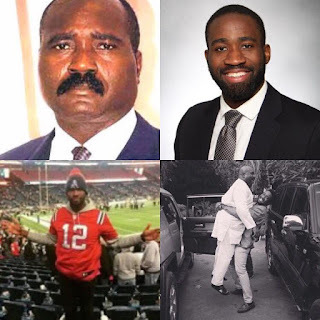 Home Politics Former Edo State Governor, Lucky Igbinedion Loses Son To Motor Accident In America. Former Edo State Governor, Lucky Igbinedion Loses Son To Motor Accident In America. Former Governor of Edo State, Chief Lucky Igbinedion has lost one of his sons in far away United States of America, US, to motor accident in the early hours of today. Osaretin Igbinedion was the second son of Chief Igbinedion we were told was driving with his cousin, Esosa Oyemwense when the vehicle they were in collided with an 18 wheel at 3am and they both died. This will be one of the most devastating time for the Igbinedion family and I wish we all join our faith theirs at this point in time.